Valances are a quick way to change the look of any room. 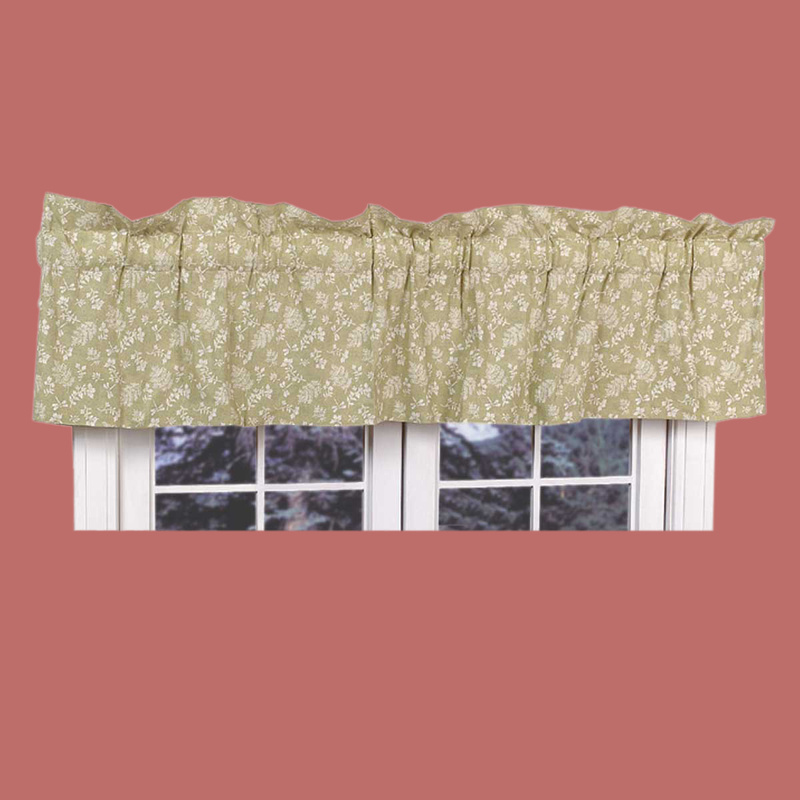 Pick out your Valances here today. Valance. This Valance has a beautiful leaf silhouette print in soft 100 percent cotton. 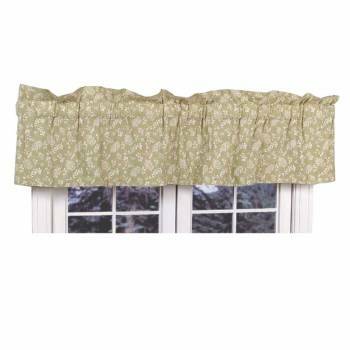 The Valance measures 18 in. H x 80 in. W. The header is a generous 3 in. and the pocket rod is 3 in. and accepts a maximum of 2 1/2 in. diameter rod. Leave as is for a straight tailored look or add crumpled paper for a balloon effect. Match them with the rest of the Chantelle Bedroom collection to complete your bedroom set. Dry cleaning recommended.